From plumbing materials and filtration systems to selecting your fish and corals, our company will provide all of the necessary components and services. Normal Aquatics can create a Maintenance Program that fits anyone’s Aquarium Service requirements and budget. We offer a wide range of ponds, waterfalls, water fountains, and outdoor water feature services for both residential and commercial spaces. Hiring Normal Aquatics to design and install a beautiful fountain, waterfall, or water feature into your property is a great way to add a sense of beauty and create a relaxing atmosphere. At Normal Aquatics, our team initiative is to create state of the art aquatic displays, provide high quality maintenance, and develop amicable relationships with each customer. Being that our client relations are so important to us, we strive to personalize each design to your liking. We have experienced professionals available to design custom cabinets to match your current home or office furnishings. We provide an assortment of saltwater and freshwater fish, corals & critters, décor and all of the materials necessary to maintain a well balanced eco system. 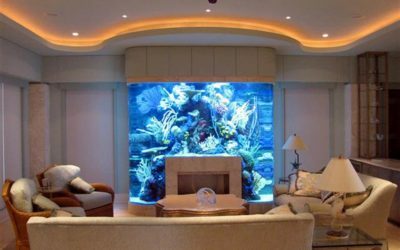 We often use versatile materials like glass and acrylic to construct our design which provides our clients with a vast array of shapes to choose from for their personal aquarium. We are flexible to meet the demands of our clients. We offer free design consultation to discuss any aquariums requirement. Our prices are very competitive, and our professionalism is unsurpassed. We are insured and bonded, giving you the peace of mind needed when choosing an aquarium service company. We are pleased to furnish references upon request. We offer the same flexibility, knowledge and experience to create any type of indoor/outdoor pond, aquascape, waterfall, water feature or fountain. Please contact us with your innovative ideas! No job is too big or too small! 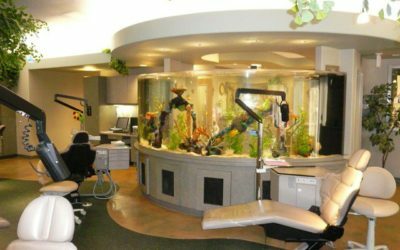 The Normal Aquatics team takes great pride in each of our Custom Aquarium Installations. Over the course of our company’s history, we have gained a repertoire of experience that has proven to exceed client expectations. We can service and maintain your aquarium twice weekly, weekly, bi-weekly, or monthly. 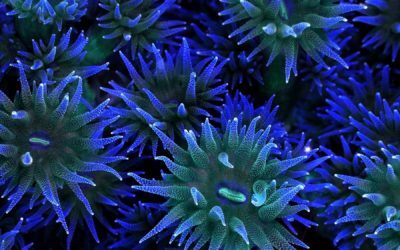 Because of the sensitivity of a reef environment and how crucial proper Aquarium Maintenance is, we recommend a recurring Maintenance Program. We offer a wide range of pond services for both residential and commercial spaces. We strive to meet all of your pond’s needs, from the initial pond design and installation to regular pond maintenance and cleaning.